Former Florida Gators running backs coach Stan Drayton has been rehired to his former job according to three sources close to the team. Drayton, who spent last season in the same position with the Syracuse Orange, left the Gators in a lateral move to the Tennessee Volunteers before the 2008 season. Florida’s running backs coach position opened after current assistant Kenny Carter decided to accept the same job with head coach Charlie Strong and the Louisville Cardinals. Other stops Drayton has made include Mississippi State (2004), the NFL’s Green Bay Packers (2001-03), Bowling Green (2000) and Villanova (1996-2000). While with Green Bay, Drayton was the offensive quality control and assistant special teams coach. I thought Stan left on bad terms. Didn’t he say he didn’t want to coach at a school that doesn’t use running backs? Please clarify. Thanks! B. See second and third paragraphs. WOW – that’s interesting, Adam. I was maybe thinking that perhaps he and Dan Mullen butted heads, but after what you had said, and the way I see it, Coach Meyer was unhappy at that time that Drayton was jumping ship to join Kiffykins up in Rocky Top. Everything about this story with Drayton is sketchy to me. But O-town, he worked with Fulmer in 2008, not Kiffin in 2009. Thanks for the correction, Adam. Even so, I still see Meyer’s POV in Drayton’s going to a school that was one of Florida’s “Big Three” rivals that left a bad taste in his mouth. Certainly. This hiring is quite strange. I would like to have heard the convo between Stan and Urban in regards to this decision. That had to be awkward to say the least. Not to mention that if their relationship was so strained that Stan cried at times why would he put himself back in that situation. Much like other Gator news lately this situation doesn’t make much sense to me. Look at it this way…he knows the system, was here for a NC, obviously has good experience and from what I have heard is a good recruiter. I know Coach Meyer was unhappy that he went to a rival school but didn’t Billy Gonzalez just take off for LSU?? I think right now that Urban is looking for continuity and wants to keep things on track. This is…beyond strange. And even setting aside his being cut two years back, or the fact he sure seems to get around… I was far from impressed with his coaching ability the last time he was here. 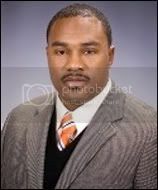 I know coach Drayton personally from when I worked with the team and he is a GREAT man and a very good coach. I never understood the conditions of him leaving since 06 was my last year, but I’m excited to have him back. With Brantley at QB and with the talent we have and we’re getting at RB, he’s comming back to a good situation. I’m excited to have him back. Every employee becomes disgruntles with their employer at some point. With all the pressures CF coaching has I can see where Drayton may have felt some of the intense pressures that Meyer feels now. I can also see how he was defending the players and his position when Meyer rolled in and in 2007 all but diminished our running backs position with the start of Tebows legacy. Drayton had more money and the opportunity to use and develop the players he recruited where as Meyer somewhat put a nix to that position. Whats more concerning and “odd” as the term most of you used is that Kenny Carter departed a top five program which would ultimately lead to a higher position in the offense of some other school. His lateral move especially to a crap middle east program has be baffled and led to believe he has essentially just put the nail in the coffin of his career.